Adrian grew up in Tampa, FL and started acting at the young age of 14. During his senior year, he truly identified his passion for acting when he landed his first full length theatrical production. His high school was looking for the lead dancer in the musical Fame, so Adrian auditioned and the rest is history. He grew up playing baseball, football, and basketball, but above all dancing and acting were his life. In his dancing career, Adrian participated in countless hip-hop and break dancing competitions in which he was extremely successful. Ultimately his love for dancing launched him into acting. 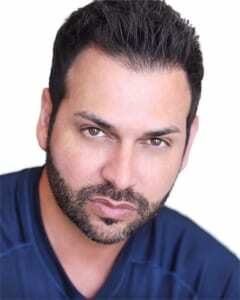 Adrian has worked in countless television and film roles. TV Film Credits Include: CSI, 24, Alias, CSI:NY, Summerland, JAG, Fraiser, Moesha, The Wayans Brothers, S1m0ne and The Suite Life On Deck. 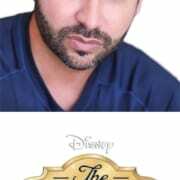 Adrian can be seen on the Disney Channel and Netflix playing the role of Esteban Julio Ricardo Montoya De La Rosa Ramirez in the mega hit television show The Suite Life of Zack and Cody. This is Adrian’s most visible character to date, and by far Adrian’s favorite role (although his role on 24 is a VERY close 2nd). McCormick first took an interest in acting in 2006 when she joined The Corsa Agency in Los Angeles. McCormick’s first onscreen appearance was uncredited, in the television series ‘Til Death at the age of nine. In 2007, she beat out thousands of other children to be cast in second season of the game show Are You Smarter Than a 5th Grader? McCormick also guest starred on the Disney Channel series Hannah Montana in the 2008 episode “Welcome to the Bungle”. She and China Anne McClain played girls who ask Hannah Montana questions during an interview. She also co-starred with McClain in the film Jack and Janet Save the Planet. Her other acting credits include the film Ramona and Beezus in 2010 as Susan Kushner and the television film A Nanny for Christmas in 2011. 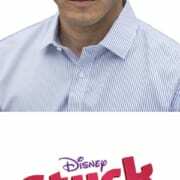 In 2011, McCormick was chosen for the role of Olive, a girl with an eidetic memory, in the Disney Channel series A.N.T. Farm. She was cast after an audition where she continually talked about tigers. Dan Signer stated “And as I heard her continually talking about tigers, I thought ‘That’s just how Olive would sound.’ Which is how Sierra got that part.” According to an interview with McCormick, getting the role was easy because she and China were already friends from their previous work experience. Tanya Chisholm is blossoming into one of the most sought after young talents in Hollywood. 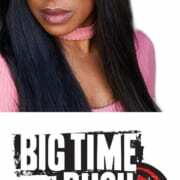 The actress currently stars as “Kelly Wainwright” on Nickelodeon’s hit “boy band” series Big Time Rush. Before hitting the “big time”, Tanya’s gift to tell interesting and compelling stories earned her the recurring role of Nancy Cooper on the CW’s Veronica Mars as well as memorable guest spots on shows like CBS’ Ghost Whisperer, CBS’ Cold Case, and Disney Channel’s Cory in the House. Tanya also garnered legions of fans when she shared the screen with Zac Ephron, Vanessa Hudgens and Ashley Tisdale as the main Sharpette “Jackie” in the monster hit Disney Channel original movie High School Musical 2. Other TV movie roles include playing Marcie in MGM’s Legally Blondes – the third installment of the popular film series, which aired on Disney Channel and ABC Family. A native of Ft. Lauderdale, FL, Tanya graduated from the prestigious UCLA School of Theater, Film, and Television. With brains, beauty and outstanding ability, Tanya received the coveted Regent’s Scholarship for Academic Achievement as well as the esteemed John and Faith Surabian Award for Musical Theater. Tanya continues to live in Los Angeles. When not working, she enjoys mentoring young people, volunteering, yoga, hiking, ballet and spending time with friends and family. Possessing a naturally rich bass quality, Geno Segers’ voice gained him enough attention to attract an agent’s ear. This led to Segers being cast in the role of Mufasa in the an Australian stage production of The Lion King. 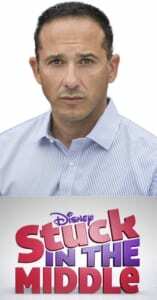 With an intimidating voice and appearance, Geno is best known and identified with the comedic series Pair of Kinds, aired on the Disney Channel. 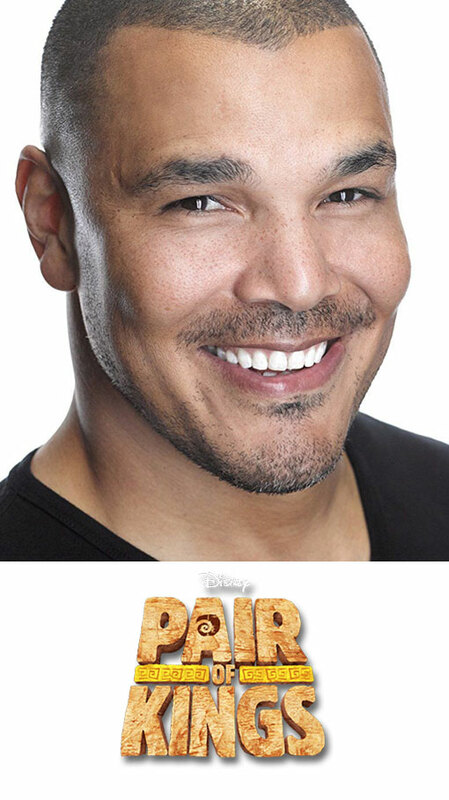 On the series, Geno plays the role of Mason Makoola, the fearson father of Mikayla Makoola (played by Kelsey Chow). Becoming most well known to Disney Channel fans as Tom Diaz from the series Stuck in the Middle, this actor has held notable television roles as Carl the Bartender in How I Met Your Mother and Fencik in Day Break. Other recurring parts of his have come in the shows The Mentalist, 24 and NYPD Blue. Louis was born in Orlando, Florida and is the middle of three children. He has an older sister and a younger brother. 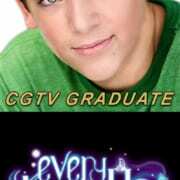 Landing his first commercial at the age of 9, he then landed the role of “Robbie Miller” on Nickelodeon’s “Every Witch Way”, which he played for all 4 seasons. Jayce Mroz is part of the series regular cast of the new Nickelodeon series, I Am Frankie. Jayce has been acting for several years and recently starred in the indie film, B.F.F. He lives in South Florida with his parents. Jayce loves animals and the outdoors and can often be found at the beach with his dog. Jackson Robert Scott is best known for his breakthrough role in the 2017 remake of Stephen King’s “It” as the iconic character Georgie. 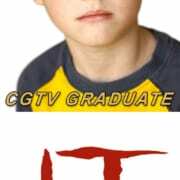 Following his groundbreaking appearance in “It”. Scott went on to land a series regular role in the pilot “Locke and Key” also directed by “It” director Andy Muchietti. 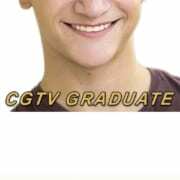 The talented young actor has previous credits as a guest star in the hit CBS TV series “Criminal Minds” and AMC’s sci-fi horror “Fear the Walking Dead”. Fans can look out for Jackson starring in a lead role in the upcoming Orion Pictures/MGM Nicholas McCarthy thriller alongside Taylor Schilling. Jackson speaks Mandarin Chinese and enjoys playing soccer, baseball and his Cub Scout troupe. RJ Cyler, a native of Jacksonville, Florida, was born Ronald Cyler II, the youngest of three boys. RJ has always been an entertainer in some way or form. At the age of 12, he started a dance team with his older brother. 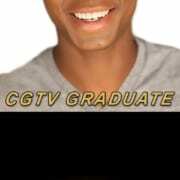 In January 2012, RJ heard a commercial for open auditions in the Jacksonville area. RJ was asked to Los Angeles for another acting camp, which at that time RJ’s mentor asked his parents to consider relocating to California in order to support a possible future. Feb 22,2013,the family took a leap of faith; he along with his mother, moved to Los Angeles. Shortly after, his father and one brother also relocated as well. With his family behind him, RJ continues to focus on becoming a better young man, comedian & actor, not easily deterred when life comes at him, he is truly the laugh box of his family and to those who met him. 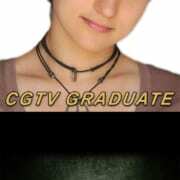 Bex Taylor-Klaus was born and raised in Atlanta, GA, a fourth generation Atlantan. She has two passions that she has pursued throughout her life: sports and acting. An all-around athlete, Bex played on her high school Varsity Softball team as a Freshman (Catcher & 3rd base). Bex’s acting training started with Shakespeare in an after school program in the 3rd grade, and was a consistent part of her extracurricular life and summers. In high school, Bex performed in her school’s Improv Troupe – she loves comedy and Improv – and with friends started a Junior-High Acting Troupe to train young actors. At 18, Bex moved to LA in the summer of 2012 to begin her acting career with while finishing High School. As a series regular in The Killing (2011), Bex’s first official role as an actor is the part of Bullet. Bex writes about playing Bullet, “to be an actor is to want to visit the dark places that humans strive so hard to stay away from.” She is having the time of her life, fulfilling her dreams, and doing the work she loves. When not working, Bex loves to hang out with her siblings (both real and ‘by choice’).